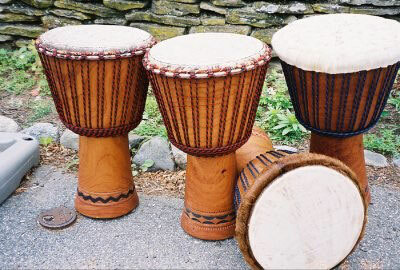 The djembe is the most popular drum from Africa. Known for its deep bass and crisp highs, it's also one of the most enjoyable instruments to play! We'd like to share with you what we have learned in more than 15 years of traveling to West Africa, studying, selling, and repairing djembes for over 27 years. In addition to West Africa, djembes are now made in Thailand, Indonesia, Mexico, Los Angeles...you name it. You can find them at Marshalls, Costco, and mixed-in with guitars and amplifiers at huge music store chains. Not to mention, everywhere online, including Craigslist, eBay and Amazon. With so many poorly made instruments out there, you need to know what to look for. This is not meant to scare you but to warn you that it is virtually impossible to buy a djembe online. I have spent about $700.- on a few djembe in my day and was disappointed over 50% of the time! That's a lot of money for a low satisfaction rate! We hope this guide is helpful...read on! Some of these points you may not fully understand in the beginning of your quest, but they will help you to ask the right questions at a store or from a street vendor, as well. A good salesperson should be able to address these questions and have answers for you. This article is for serious djembe buyers who want the right drum for them. • A perfect djembe should have 3/16" (4mm-5mm) rope that is round and not frayed. • The djembe should be between 22.5" to 25" tall (we like 24.5"). • A slightly round bearing edge that may be very sharp or curved for more comfort. • 22 -28 or more loops on the top and bottom rings. • Symmetry - It should look even and feel good to you. • Rings snug against the shell but not choking the skin. • An interior that is hand carved with some roughness and NOT lathed. • Medium to Heavy in weight, though there are some nice lightweight drums out there too. Not before but now. • A Medium to thick skin as thin skins usually sound too ringy and don't last as long. • No rope flips or up to one row of rope diamonds (flips) already in is okay. • See if the very bottom ring (under the bowl) is too crooked OR not strong enough. Some of these rings are not round metal but some other substance and you DON'T want that. • Rings should be wrapped with cloth, and not bent, rusted, eating through the skin or broken! • Look for open cracks in the wood. Cracks are a norm for djembe but have them repaired if you love your drum. • Is a dark stain hiding any imperfections? • Skins should be free of holes and bug bites. There may be some natural skin blemishes that are okay. • If there is some hair left on the skin it can easily be cut or sanded off with a sanding block. Hair usually falls out on it's own, in time. Some people like it - others don't. Final note: If you are paying less than cost on the djembe, or getting a discount, you may be getting a drum with a few of the above, most likely. So take price into account when you go through this checklist. As a drummer, when I see and hear and play a perfect djembe, I do NOT want to sell it. And if I have to sell it, and it is that good, the price will not be discounted. When buying any musical instrument you want the best you can get at a price you can afford. When you are buying a handmade djembe or dunun drum, you do not want to get a deal, so to speak. Unless you are willing to live with a few compromises which, in some cases may be okay. The old saying is as true today as it was years ago. You get what you pay for. Take that to heart when you are looking at djembe and dunun drums. Please. Current African djembe market prices are $299 - $1,000 We do carry less expensive djembe as well. Come in and see or write to us for a quote and current selection. We have a great selection at the moment! This is THE drum. The skin, and other parts, can and will come and go, but what you are investing in is the shell. The top players in the world (Mamady Keita, Famoudou Konaté, Fadouba Oulare (passed), Adama Drame, Ibrahima Camara (passed), Soungalo Coulibaly) play drums from shells carved in Ivory Coast, Guinea, and Mali. Keep in mind, that although it's the outside that you see, it's the INSIDE of the drum that you hear. The sound is bouncing around, being absorbed and resonating inside the drum. Most true Guinean and Malian shells have been made totally by hand so the inside of the shell is rough. This uneven roughness helps give the djembe it's dry sound (without unwanted ring or boinginess. The following are the most common woods and some features of the djembe shells made from them. Acajou Wood (Bois Rouge): One of the prized "redwoods" from the Guinea-Mali region, along with Lenge and Djalla. Acajou is often difficult to tell apart from the other redwoods. It is generally lighter (in color) with more orange, and will have light patches. As with most Guinea shells, the chiseling pattern is on the interior of the bowl and the stem is a spiral. Overall sound, consistency, and durability are great. I love the Bois Rouge. Iroko Wood: Always noticeable because of the ledge carved for the bottom ring so it won't slip. (Not ALL have it though) Iroko djembes and dununs are among the most consistent and highest quality in the world. Exceptional overall bass/tone/slap contrast. The more open pores give Iroko a very warm sound, and it is a good weight for carrying. Interior of bowl and stem are thicker, and smoother, than Guinea shells. The thicker shell enables a very comfortable and rounded bearing edge. It is possible to find lightweight ones but you may have to wait 6mos or so for one to get here. Our best selling djembe! Demba (Dimb, Duki, Dougoura, Teak): Density and tight pores make this a very bright drum. It has a "dry" sound; not a lot of bass response or sustain, but strong tones. Drawbacks include heavy weight, poorer than average bass response, many cracks, and chunky (not smooth) interior. Senegal is facing a tree shortage and carvers are now using trees cut down a decade ago, which were discarded at that time for low quality. Watch out for a greater than average amount of cracks and patches repaired with glue and sawdust. Demba-Duki shells from southern Senegal (Casamance), Gambia, and Guinea are the most consistent shells from this wood. SHAPE: A common myth is that the bass on a larger drum is boomier. However, this is not always true. Sometimes the bass on a 14" (or larger) drum is so low that it can't be heard. Our ears have a specific range. Huge drums may rattle windows, but be hard to hear. In large groups, the bass is the first thing to drop off anyway. Moreover, some smaller djembes can have a lower bass than a huge djembe if the drum has a smaller throat diameter. The shape of the drum, the thickness and tuning of skin and your technique will decide the sound of the bass. HEIGHT: 22.5" should be about the absolute minimum height. Anything shorter, and you'll be hitting your legs and bending over too much. 24" seems perfect. 24.5 " seems more perfect. And 25" is okay. Any taller and the sitting position you will be in may not be comfortable. We sometimes cut off the stem a half inch to fit the customers needs. Rarely but it can be done. Consider that most chairs are a standard height so when testing a new drum, be sure to be sitting at the approximate height you will encounter in playing situations. Some people carry their own chair, but rarely. Some people carry a drum seat (throne) but rarely. Carrying a round, small cushion in your case on top of your djembe is not a bad idea as you can add an inch to your height and have a comfy seat, always. CRACKS: Small cracks near the top and bottom of the drum are normal. They occur during the open-air curing process as the wood loses water and acclimates to the environment. Once these small cracks are filled with wood-putty, they rarely open up. But be aware of huge patches, as they may be covering a knot or a structural problem. ABOUT THE SKIN: Skins from Guinea, Ivory Coast, Mali, and sometimes Senegal are best. They are fresher and are from leaner animals, which translates to stronger, less brittle skins with less fat and scaring. Careful about skins from Pakistan, Thailand, or Indonesia (Bali)...most are thin and may be unreliable. Some are ringy. The spine should be centered on the drum. We feel that hair that was removed with a razor blade when the skin was still wet is preferable to that which was removed by chemicals or dry shaved. SKIN THICKNESS: We recommend medium, medium thick to thick skins. In general, beginners prefer a thinner skin because the slaps and bass come easier. The thicker the skin, the harder you have to work for definition between tones and slaps. But, as players improve, they go to thicker skins for better tones and minimal excess ring. We highly recommend going with a thicker skin. Thicker skins last longer too! THE RINGS: Rings should be as absolutely tight as possible while allowing the skin to move freely. There is no reason for rings to stick out more than 1/4" from the drum. You should not be able to stick your little finger between the rings and the shell. If too big, you will find your drum not staying in tune. 1/4" round-bar is standard. Wrapping rings with cloth prevents rusty rings from bleeding through. The cloth can also help you fine-tune snugness, by controlling the ring diameter with the amount of cloth used. Also, coating the unseen flesh ring with a rust inhibitor may help save the life of your skin. THE WEATHER: Natural skins are affected by temperature and weather pressure changes. Expect the pitch of your djembe to go up in warm or dry weather, and back down in cool or moist weather. Don't fully tune a drum under wet or cold conditions because it could burst the skin when the temperature and humidity change. Interesting factoid: From almost 30 years of experience in the Northeast region of the U.S., I have found extreme heat (as in a closed up car in hot sunlight) will cause more damage to your drum that extreme cold! So park in the shade or take your drum inside with you in hot weather. If you're comfortable, so will your drum be. RE-HEADING: The tighter you keep your drum, the shorter the life span of the skin. Average 'great sound' life span is 2 to 5 years but the skin may last as long as 20 years. Professional players change them about once a year or two. We sell replacement skins, rings, rope, pullers, and instructions for the "do-it-yourselfer", videos, pulling tables and lots of skins. RE-HEADING: We have a full time drum tech to rehead your drums, fix the wood, smooth the bearing edge and oil your drum's wood. We are experts in repairing many drums like djembe (authentic and even the plastic and metal ones), doumbek (metal and ceramic), bongos, talking drums, congas and more. Call for a quote. 781-316-8068 during shop hours or leave a message with phone #. • Will you ever perform with it and is it light enough or will you use a stand or maybe someday get a second play-out djembe that is lighter. 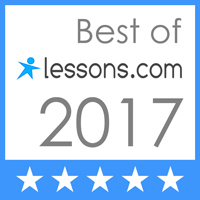 Most of my students have 2 or more djembe. One for class learning and practice and one for standing gigs. • Which one makes you feel the happiest! Which one do you feel a bond to? Looks are important! • If possible have a professional play the drums for you at a little distance from you and hear them. • And if you are a beginner, do you really want to have a good experience with your drumming? You may not find that in a beginner (inexpensive) djembe. I hope this helps when you go shopping and searching a new djembe drum with us or anyone else.